EW 101 has been a popular column in the Journal of Electronic Defense for a number of years. 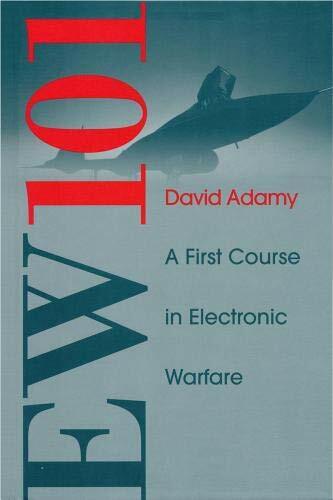 This compilation of tutorial articles from JED provides introductory level electronic warfare instruction for students of the discipline. David L. Adamy is president of Adamy Engineering and previously worked as senior systems engineer/program manager for ESL/TRW in Sunnyvale, California. He received his M.S.EE. in Communication Theory from the University of Santa Clara, and his B.S.EE. from Arizona State University.